In a bombed-out wasteland stands a police station – less a precinct house than a fort in hostile territory. Outside its walls are the murders, the riots, the drugs, and the everyday lives that texture the bleak urban landscape. Inside, amidst corruption and indifference, each officer does what he must to survive his tour of duty in Fort Apache, The Bronx. 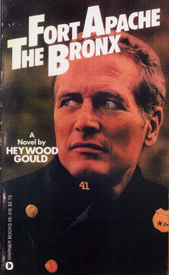 This controversial, hard – hitting feature stars Paul Newman as the tough, tired Officer Murphy. His performance sets the tone of a film which moves from reality to romance, from comedy to great desolation of spirit, from demoralization to hope. A rewarding dramatic experience. The script is sharp and witty.